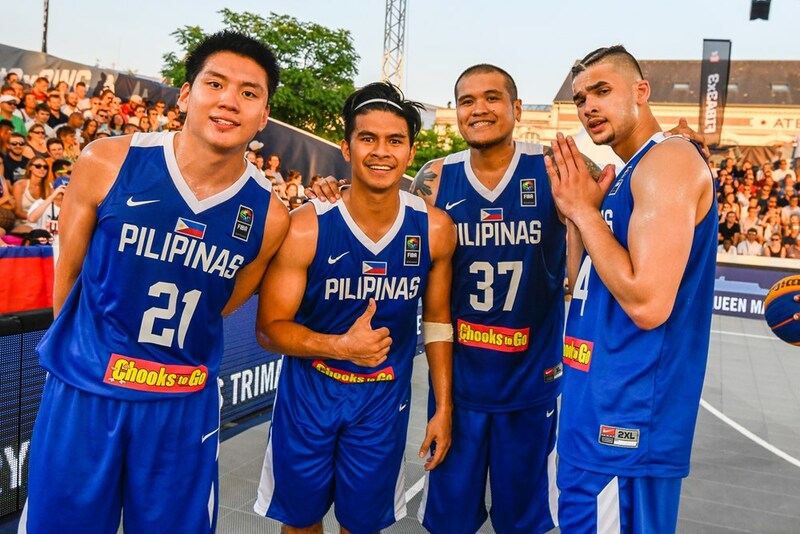 The Philippine 3×3 squad of Kiefer Ravena, Jeron Teng, JR Quinahan, and Kobe Paras are now headed home after making a valiant stand in the 2017 FIBA 3×3 World Cup. On Tuesday (Wednesday morning in Manila), the team completed their tournament Pool play, squaring off against Slovenia and El Salvador. They ended up splitting their remaining games, but failed to reach the next stage of the competition. They finish their campaign with a 2-2 record. The Philippines first had to go through Slovenia, ranked second in the tournament, in order to keep their playoff hopes alive. Unfortunately, they faced a team that has been playing remarkable basketball with their daunting combination of size, strength, and skill. Slovenia won the game, 21-14. The Philippine team fell behind early against the Slovenians, 0-5, and looked simply overmatched. Kobe Paras ended the scoring drought with a booming shot from downtown. Slovenia however simply took control of the ball game yet again, even leading as much as 14-4 with five minutes of play. Ravena and company though would make one last stand in the last half of the game. All four players – Teng, Ravena, Paras, and Quinahan – chipped in in a rampant scoring run all in a span of less than two minutes. The lead was cut to just four points off a Quinahan putback with 3:15 to go in the game. Ravena made it 14-20 after his long bomb, but was slapped with a flagrant foul for hitting Anze Srebovt in the face. Srebovt missed his free throws but it wasn’t long until Slovenia found the basket to seal the win. Slovenia swept the Pool play, going 4-0. The Philippines didn’t come home empty-handed on Wednesday as they earned a 21-14 victory over El Salvador. This time, Ravena and Teng went to work early and conspired for seven points apiece to lead the Philippines. Quinahan hit twice from long range for four points while Paras netted two points. El Salvador was reeling all throughout the contest. They faced a 10-18 margin with three minutes in the game. They made one last rally towards the end, as once again, a flagrant foul was called on the Filipino squad. Teng hit Julio Mancia as the El Salvador player was going up for a shot. From there, El Salvador hit successive buckets and was able to make it 14-18 with under two minutes left. Fortunately for the Philippines, they still had Teng and Ravena. The PBA D-League star Teng made it 19-14 and the former two-time UAAP MVP Ravena splashed a long two to seal the win. The Philippines bowed out of the competition, going 2-2, winning against Romania and El Salvador, but losing to France and Slovenia.